Some of my favorite high end lipsticks? Urban Decay Vice lipsticks. They are on par with MAC lipsticks for me and they are pretty much as expensive. I already reviewed some of the lipsticks I own from the line when they first launched. 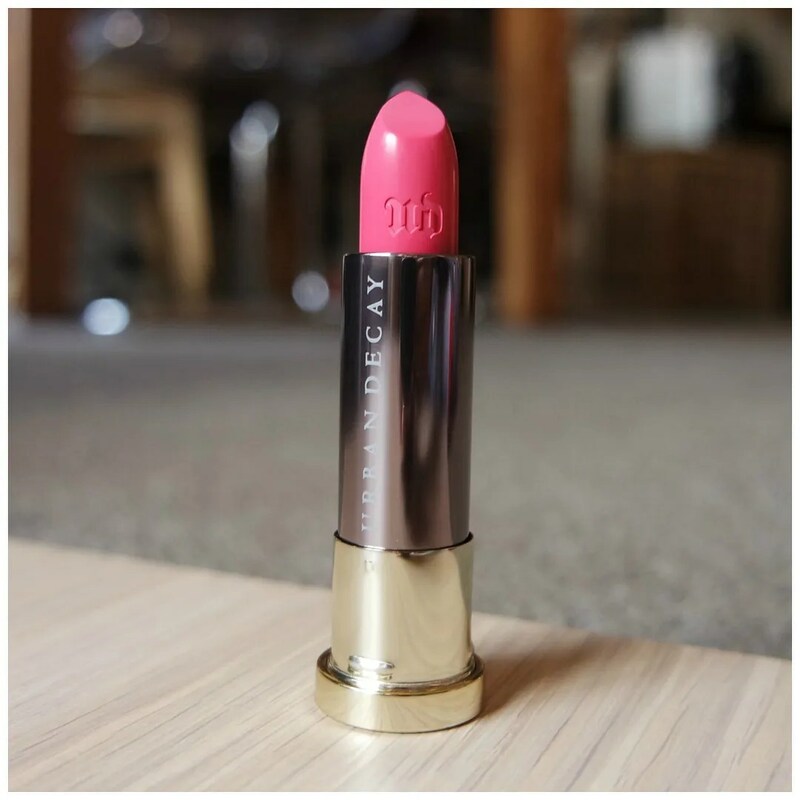 Because I liked them so much, I decided to buy a few more: this is a round up of four more colors I bought from the Urban Decay Vice lipstick line. Finding a good coral lipstick that isn’t too orange? Quite a feat it turned out. Over time, I have decluttered most of my coral lipsticks as I felt they didn’t quite suit me. Every time I would wear them, it seemed like something was off. So I went on the hunt for the perfect coral lipstick. And guess what?! I found it in Urban Decay’s Checkmate! Last summer, Urban Decay released 100 new lipsticks in their Vice lipstick line. 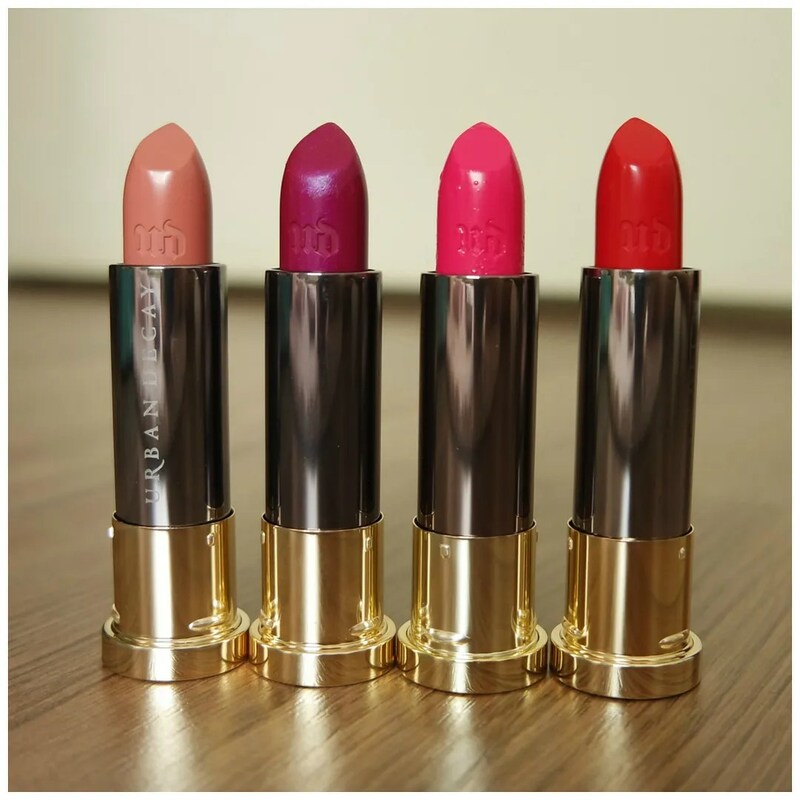 A revamp of their older Revolution lipsticks, the line also added some new formulas and additional colors not seen before in the Urban Decay lipstick range. I bought a few to try out their new Comfort Matte, Cream and Metallized formulas.